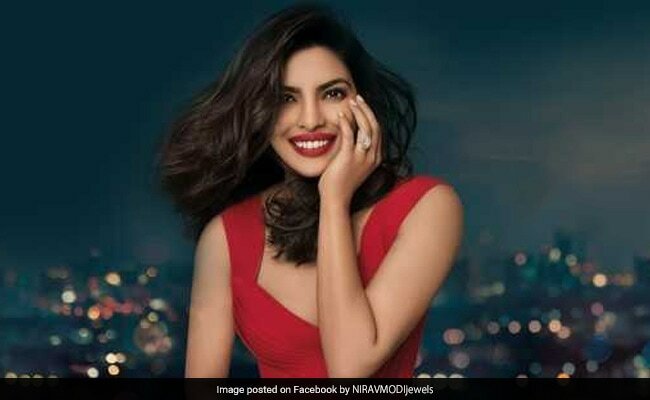 Actor Priyanka Chopra has quit as brand ambassador of celebrity jeweller Nirav Modi's designer product line after allegations that the 48-year-old was at the centre of a massive bank fraud. Nirav Modi and his family had left the country before the scam broke out and his lawyer has declined to indicate if and when the billionaire would come back to the country to face the probe. "In light of recent allegations, Priyanka Chopra has chosen to terminate her contract with the Nirav Modi brand," Priyanka's spokesperson said in a statement, according to news agency Press Trust of India. The government-owned Punjab National Bank stumbled upon the fraud last month and complained that Nirav Modi's firms would get fraudulent letters from a branch in Mumbai to secure credit overseas from other banks. The Central Bureau of Investigation, one of the half-a-dozen agencies probing the scandal, has put the size of the fraud at around Rs 11,300 crores. The Nirav Modi brand had roped her as its brand ambassador in January last year, underlining that she also represented "the ethos of our brand". The firm has boutiques across three continents to sell its jewellery for prices varying between 5 lakhs to 50 crores. After the scandal broke out, Ms Chopra, who scored Hollywood success with her hit series Quantico, didn't want to be associated with the brand and had asked her lawyers to come up with a way. The loans, granted illegally by its own officials, have landed India's second-largest bank in a huge controversy and also exposed the government to sharp attacks from the opposition Congress.